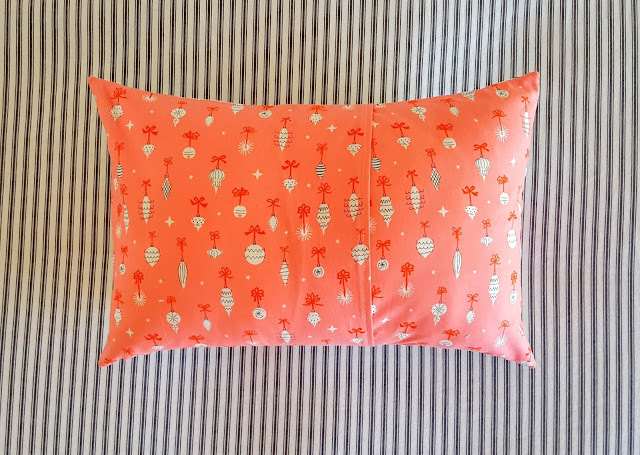 There's something really gratifying about sewing for Christmas in the middle of summer. 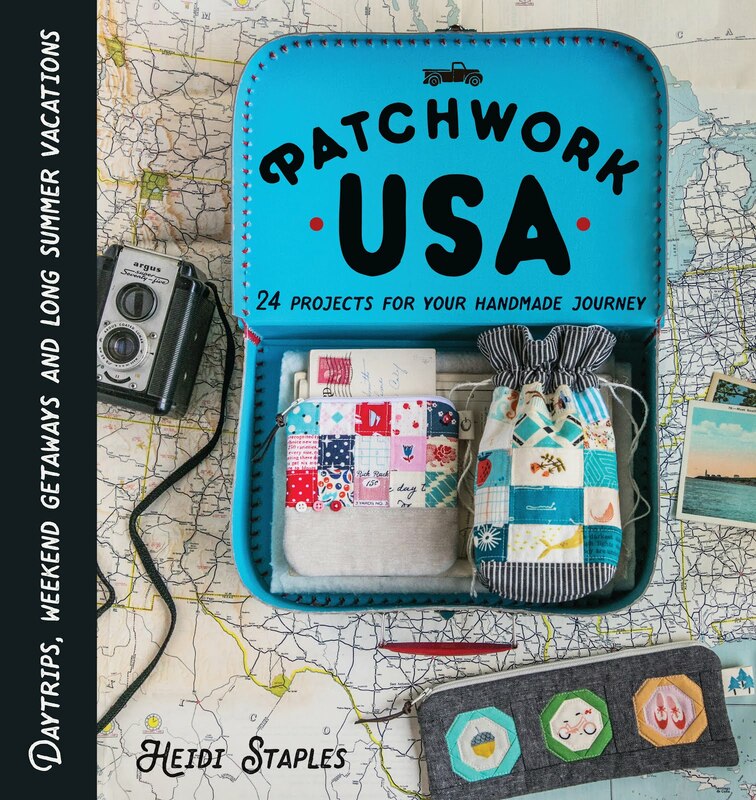 Not only is it a fun change of pace, but it makes me feel miles ahead of the game to get a few holiday projects finished months before I need them. When Fat Quarter Shop asked me to be a part of their Holiday Wishes blog hop, I jumped at the chance to add another handmade Christmas project to my stash. 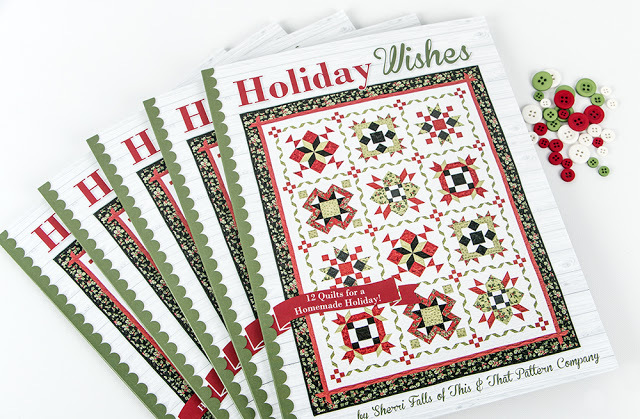 Sherri Falls has written a sweet little book full of holiday projects that will work for both experienced and beginning quilters. 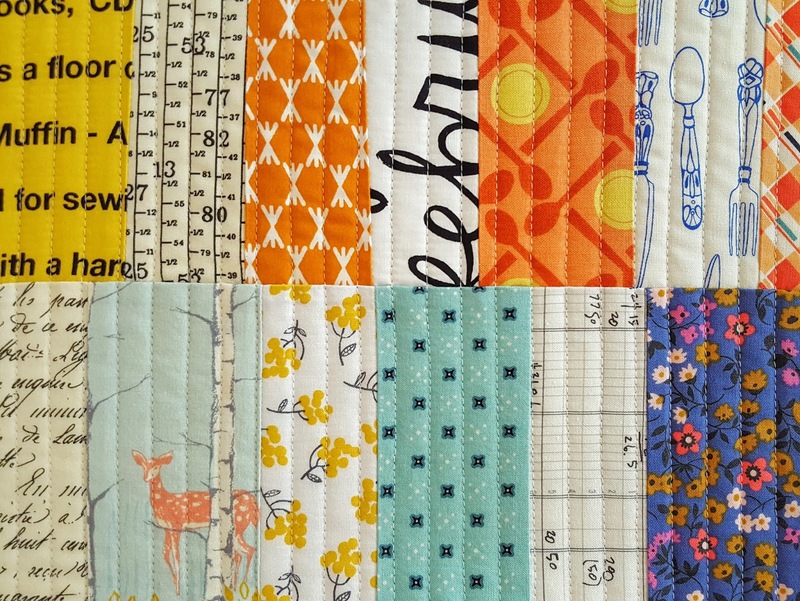 The piecing is all very straightforward, though some of her quilts are more advanced due to the large number of pieces involved in each block. When I saw her Merry Gifts Quilt pattern, I immediately thought of turning one of those gift blocks into a pillow cover. A couch dotted with present pillows would be so sweet for Christmas! I paired a few prints from Cotton + Steel's Garland collection with Alexia Abegg's black and white Starry fabric from her new Print Shop line. 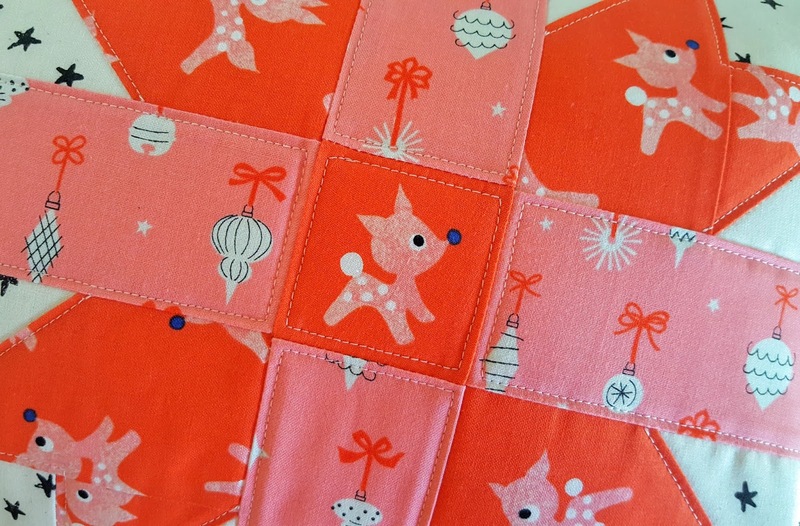 I love the red, pink, white & black color scheme, and those little deer just melt my heart every time I look at them. I also adjusted the block pattern slightly, trimming it so that the cover would fit a 12 x 20" pillow. 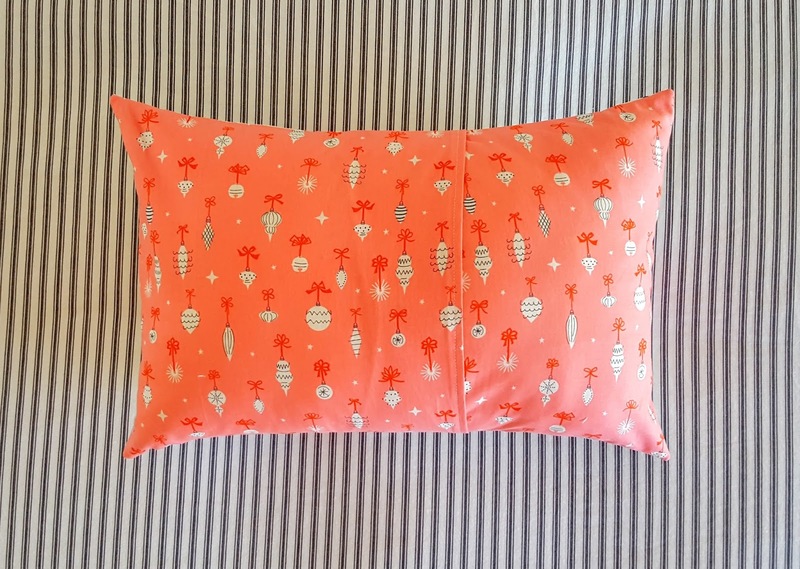 The pillow is backed in Ornamentals in Cotton Candy from Garland. I love this print in every colorway, but the pink might be my favorite. 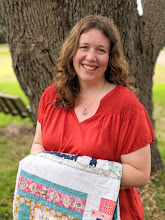 I bought a copy of The Improv Handbook for Modern Quilters by Sherri Wood last month and was fascinated by her ideas about quilting. 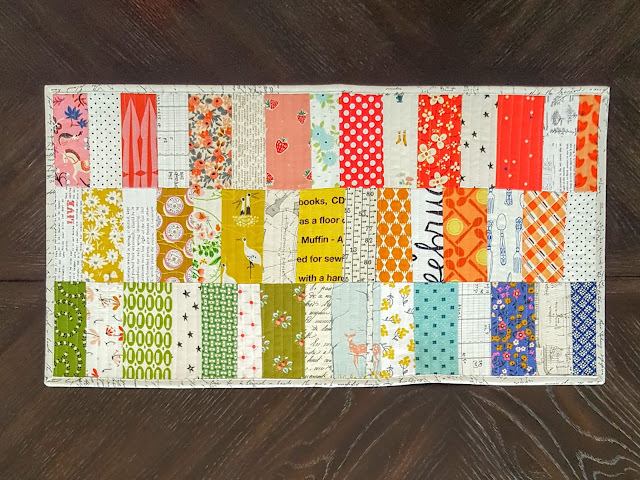 Rather than working from a pattern, she works from a "score," a set of guidelines for the quilt instead of specific measurements and precise directions. So when Mom asked if I would make a small runner for the top of her bedroom dresser, it seemed like the perfect opportunity to give these techniques a try. For my score, I decided to use rectangles cut by hand with scissors instead of a rotary cutter. For the color scheme, I alternated a rainbow of colors with low volume prints -- a look that I adore. I love playing with fabric to find the right balance of color and light in my projects. This has a cheerful look that's so bright and happy. I backed the runner in a woven aqua gingham print from the new Checkers line by Cotton + Steel. 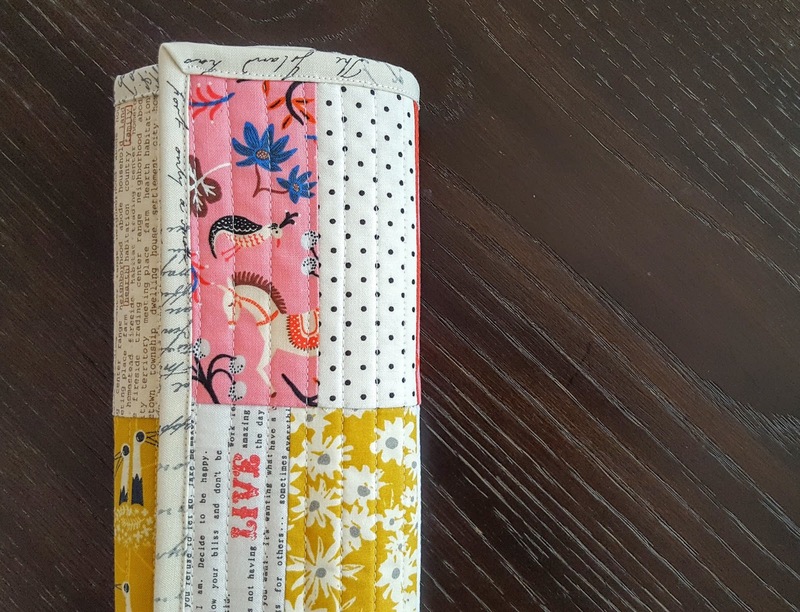 It's quilted in straight lines about half an inch apart and bound in a low volume text print by Zen Chic. 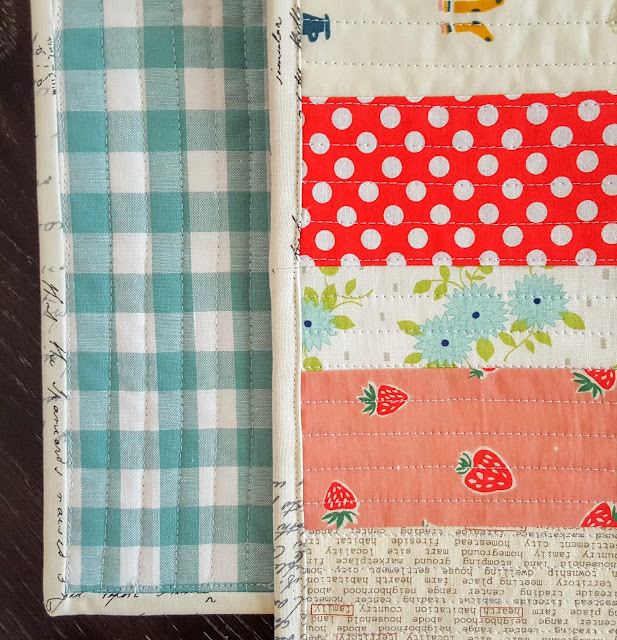 I have to admit, improv quilting is fun. 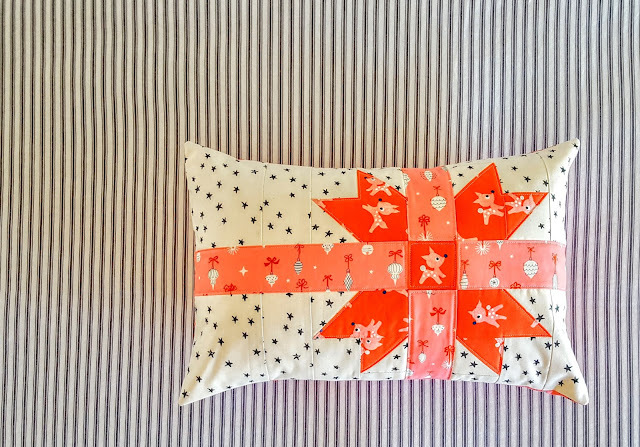 While I get a lot of pleasure from working with traditional patterns, there's nothing like sewing things together without worrying about matching points or perfect seams. That kind of freedom is so appealing, and I will definitely be doing this again.